Once upon a time, there was once a guy who was very much in love with this girl. This romantic guy folded 1,000 pieces of paper cranes as a gift to his girl. Although, at that time he was just a small executive in his company, his future doesn’t seemed too bright, they were very happy together. Until one day, his girl told him she was going to Paris and will never come back. She also told him that she cannot visualize any future for the both of them, so let’s go their own ways there and then… heartbroken, the guy agreed. One rainy day, while this guy was driving, he saw an elderly couple sharing an umbrella in the rain walking to some destination. Even with the umbrella, they were still drenched. It didn’t take him long to realize those were his ex-girlfriend’s parents. With a heart in getting back at them, he drove slowly beside the couple, wanting them to spot him in his luxury sedan. He wanted them to know that he wasn’t the same anymore. He had his own company, car, condo, etc. He had made it in life! Before the guy can realize, the couple was walking towards a cemetery, and he got out of his car and followed them…and he saw his ex-girlfriend, a photograph of her smiling sweetly as ever at him from her tombstone… and he saw his precious paper cranes in a bottle placed beside her tomb. Her parents saw him. He walked over and asked them why this had happened. They explained, she did not leave for France at all. She was stricken ill with cancer. In her heart, she had believed that he will make it someday, but she did not want her illness to be his obstacle … therefore she had chosen to leave him. She had wanted her parents to put his paper cranes beside her, because, if the day comes when fate brings him to her again he can take some of those back with him. The guy just wept …the worst way to miss someone is to be sitting right beside them but knowing you can’t have them and will never see them again. A Hungarian Loves an Irish…. I was in love, truly, deeply in love….with my ex-boyfriend over 2 years ago…We broke up as it usually happens when you are 18. It was an ugly ending I still loved him..Could not have stayed in Hungary any longer, needed a change. I quit my job and said goodbye to my family, came to Ireland to start my life all over again. I missed him, I missed him a lot but I have always been a strong women so I knew I cannot give up. I settled down in the heart of Dublin, got an okay job, got friends. Had my life just like before him..Never thought I would fall in love with somebody again (at least not any soon). Once I was spending time on my Facebook. I saw this advertisement about that website called ‘Love struck’, I just said to myself why wouldn’t I try it out??? I registered..never did anything like that before as I never believed in the way like that to find your true love. Of course the website like that started to ask me lots of question, I had to set up a proper profile and I just got so fed up and left in the middle of it. Once I just thought what not I’ll go and have a look…Found a few guys, left a few message to them. Also found a guy who had written on his profile that he is looking for a beautiful, smart, funny, intelligent but serious girl (which was certainly everything), I remember thinking he must be a funny guy, reading his profile a bit further he just said “if you like what you read send me one email or two or three”…that was a sentence made me write him a message. Although that time I hadn’t had any profile picture and good English he answered me back…I didn’t know what was going on in his mind but we started to talk. We used to change emails two-three times a day, it was like we have been together years and now we are just spending some time apart. We talked about everything, we knew each other more then anybody else. The time went on and we decided it to meet up. Didn’t work. I really don’t know how people do this but after two months talking when I met him I couldn’t introduce myself or anything like that. It was weird and awkward. We didn’t kiss and then I left. On the way home I thought this has been an awful date we will never see each other again. I was disappointed but I didn’t regret any moment we spent by emailing each other. When I got home I had an email waiting for me. An explanation about why he acted so weird and what he really feels about me. We agreed about an other date, next day beside the see. I had not too much hope to be honest that anything can go better, but it did. We had a wonderful time together. We didn’t kiss but it was still the best day. Days were passed, we had dated for a while until I got extremely drunk and started to send him text messages about what and how I want to do with him. Next day I was terrified that I lost him but no I didn’t. It just made him realize how much he wants the same thing and how much he wants me to be his girlfriend. I spent the night with him, that was the first night we spent together…. It has all been over a year. We are living together now and have an adorable little dog as well. We have arguments of course, and fights several times but I know that I can’t be happier than that. Since I know he is my better half, I cannot imagine my life without him the only thing I can’t wait for is to be his wife and make him happier then ever. We first met in Michigan at a Withrow basketball game back in 1996. The second time was a few months later at a friend’s wedding where he was dj’ing. The third time we came across each other was at a club in Clifton and that’s when we finally exchanged numbers. Now my interest sparked in him due to us both having kids who were mentally disabled and his son had once stayed in a place where I had recently placed my son so I wanted to get his insight on the place. Although we exchanged numbers from March to September we spoke on occasions, but we finally had our first date at the end of September at the haunted house in Middletown. By Thanksgiving we made it official that we were a couple. We dated for a year and a month then we separated. We got back together in October 2010; God works in mysterious ways. Although I felt like he wasn’t the one it was just me who needed time to work on me and accept and appreciate a good man. He has always been supportive, loving and caring to me and my two boys even when we weren’t together. After the passing of my son I believe our love grew more and more. And on April 29, 2011 we found out we were having our first child together. On July 10th he proposed to me!! It was truly beautiful something I never expected would happen to me, although he said he wanted to marry me I just didn’t think it would ever happen. It was perfect!! The restaurant was beautiful (The Celestial in Mt Adams). Although I didn’t cry and it was more of laughter coming out of me, I was crying inside I wouldn’t have had him do it any other way! It was his way, it was original and he truly fooled me!! No one has ever surprises me like that and I believe at that moment I fell in love with him all over again!! …I love you….but I’ll leave u…..
Love can’t always be used as an excuse to stay…sometimes you have to take love as a reason to leave. This weekend, I had the opportunity to chat with someone who decided to push those lines herself. She shared with me her experience of taking her perspective on life and touch and beauty out of the theoretical realm and putting it into practice. She described the experience as “glorious”. “To caress and connect with another human being, and deepen a friendship that had been in place for years… All felt right. All was right.” She described how intense the experience was and how messy it could become, but that it was totally worth it. I can’t imagine the roller coaster of connecting with someone physically and emotionally and deepening a friendship, but trying to stop it at only that. The power of touch must be why the rabbis tried regulating it in the first place. I know that when Yair and I travel, it hurts just a bit when we move locations and leave behind people who we love. In my friend’s case, I would imagine that the deeper the connection, the harder it is to step away from. But to her, might the hurt be worth the beauty that is shared? Sharing any form of love – when it is of pure heart and combined with mighty respect – seems to be perhaps the greatest gift of all. 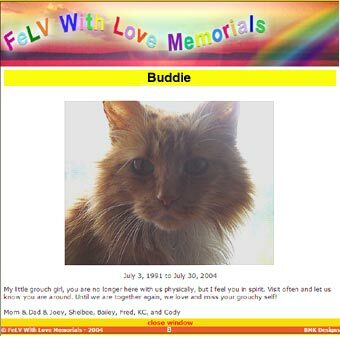 FeLV With Love Memorials is a virtual memorial for cherished pets and people in spirit. We are trying to provide a place where anyone who has lost a much loved pet or person in their lives can write a memorial to them and share it with anyone they would like to share it with. The money raised is used to keep the FeLVTalk List up and running, this list is a haven of knowledge and support for anyone finding themselves with an FeLV+ cat. 100% of the money donated is used to keep the support list up and running. Feline Leukemia is a deadly virus that can possibly take cats lives by compromising their immune systems and leaving them open to opportunistic diseases. It is a very misunderstood virus, with so much misinformation out there on the internet. So we would like to educate the public about this disease so that when they go to a vet that recommends euthanasia as many do when a cat tests positive, they will be armed with knowledge that no cat should be euthanized simply because they test positive. For even more information about FeLV and support groups see our links page. We also have a chatroom open to all. We understand the grief of losing a cherished and much loved pet or person. We felt that this site would help loved ones express their feelings about their dearly departed loved ones and at the same time possibly help them gain closure. And in doing so it will also help us raise the money we need to save kitties that more often than not have their lives ended when they test positive for FeLV. It is our hope that our “FeLV With Love Memorials” website accomplishes this. “Love MemorialsTM ” are very personalized sympathy gifts given to comfort bereaved families grieving the death of a baby passed. This gift comes straight from the heart without the possibility of ever being repeated. A “Love MemorialsTM ” can be sent immediately after the death, on death anniversaries, angelversaries, birthdays, the season, approximate pregnancy due dates or holidays. There is no timeline for a gift honoring a baby very much missed. At least three people are involved in the creation of a “Love MemorialsTM ”; the person grieving, the deceased child and you. There are no rules to compose a “Love MemorialsTM ”, only the depth of thought for its conception. When you take the time to understand the relationship of the bereaved individual and loved one passed, a precious and unique keepsake can be composed. “Love MemorialsTM ” can be a simple handmade card or pregnancy loss ribbons , poems , journal entries, or scrapbook pages. Other forms of “Love MemorialsTM ” are virtual memorials, memory gardens and drawings. A handmade card is a wonderful and considerate way to send a heartfelt “Love MemorialTM ”. The card located above was created for a couple who lost their daughter Abby at 22 weeks gestation due to miscarriage. The photograph of a golden sunrise, the yellow butterfly and lemony cloud the angel is resting on, symbolizes the gemstone citrine. Abby’s approximate due date was December second, providing the information needed to help create a card reflecting the color of her gemstone. Every child has a zodiac sign, symbol and gemstone . The flower and butterfly stickers and angel baby on the cloud are included in the Just a Cloud Away Remembrance Kit for pregnancy and infant loss. If you have a talent for writing, compose a “Love MemorialTM ” in the form of a letter or poem. This type of gift would be highly treasured because of the amount of thought required for its creation. My girlfriend created a “Love Memorial™” for us after the stillbirth of our son Tanner. The poem is called, “If he could tell you…” and was read at our Memory Garden Dedication for Tanner. My girlfriend was also a new mother of a 3 month old when she composed this comforting poem that touched my heart. Her words also reflected a very real pain for her too. If you are creative and have either an organic or symmetrical style, try designing a “Love MemorialTM ” in the form of scrapbook pages . This “Love MemorialTM ” created from your perspective could comfort bereaved families while providing a memorial keepsake reflecting hope. My sister-in-law created a beautiful “Love MemorialTM ” for us honoring little Tanner. One could even create scrapbook pages from the perspective of child in heaven, reassuring the bereaved that they are doing just fine and love them deeply. Decoupage is another medium to use when creating “Love MemorialsTM ”. Decoupage usually comes in a plastic container and has a consistency of glue. I created a “Love MemorialTM ” honoring my stillborn son and deceased Uncle. 2 years after my son was stillborn my dear uncle was diagnosed with cancer. He fought a tough battle until the end. Before he passed, with his eyes closed, holding my hand whispered, “I am going to teach Tanner how to fish”. I am crying even now while typing. This “Love MemorialTM ” was created and memorialized on a decorative plate and charger plate to place in Tanner’s shadowbox. Virtual memorials are another way to express your support for bereaved families. By working through the logistics and set up of an online memorial, unnecessary stress for grieving family members are alleviated. These “Love MemorialsTM ” allow you to write short stories, poems or anything else about the deceased or those grieving the loss. Memorials can be personalized by background colors, music, and significant photos, making this online tribute unique. Typical sympathy gifts usually involve you and the individual grieving the loss, such as a sympathy card. Sending such gifts would be fine if it is distressing or uncomfortable to send a “Love MemorialTM ”. After some time passes, ideas and thoughts may be discovered helping to compose a “Love MemorialTM ” for your bereaved friend or family member. These types of sympathy gifts will be truly cherished because you haven taken time to think about their special relationship with their deceased infant and the undying love within their hearts. Love, a perpetual theme in our life,love from your parents, your classmates, your colleagues, your friends. Especially the marriage, a result of love. So do you have good ideas to choose the Right Bridesmaid Gifts?